What to Know About House Flipping! Home / Flipping Houses / What to Know About House Flipping! ...but also what you should be focused on to maximize your chances of closing a lucrative first and next deal. There are 2 main entities that drives a real estate transaction but we are going to add YOU to facilitate the process in exchange for lucrative fees over and over again. This is the source of the product; the sellers. In the house flipping business, you are looking for a property that can make use of added value in particular. The majority of the sellers on the market would fix it up and list on the public MLS for the market at large. These types of property are not ideal for house flipping on an average. 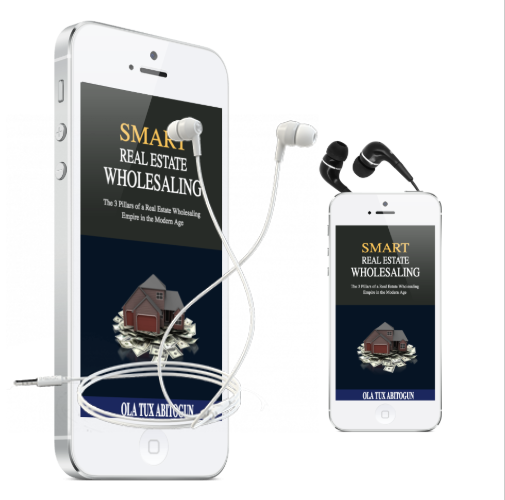 Most wholesalers have been trained now to burn thousand of dollars and hour on finding and identifying these distressed homes and home owners. Money comes from people; buyers to be specific. There are virtually nobody in the house flipping focused on finding, building and nurturing buyers for the industry. ...and buy quality and performing properties that you recommend; either found by you or someone you are joint venturing with. 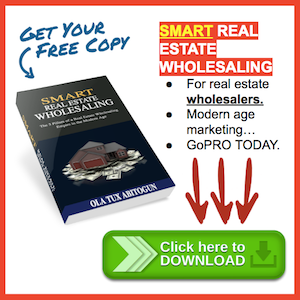 In general, you will be getting paid in the house flipping game as a rehabber who fixes and flip or as a real estate wholesaler who links discounted properties with investors. In the episode, I share with you why and how to focus on only building a list of buyers using digital age marketing and closing more deals. It's the most cost effective for YOU to get involved in the house flipping business. This is for a 1 Hour personal one-one virtual coaching session on phone (audio and/or video) with lifestyle, business and digital marketing Coach, OLA Tux Abitogun.